The Finns discovered the art of vodka distillation from their Russian neighbours and by the mid-1800s practically every household owned some kind of distillation apparatus. This inevitably led to regulations outlawing DIY distillation, and, in 1919, two years after Finland declared its independence from Russia, distillation all but ceased with the onset of Finnish Prohibition. When this was finally lifted on 5th April 1932, the state took over exclusive control of vodka production. 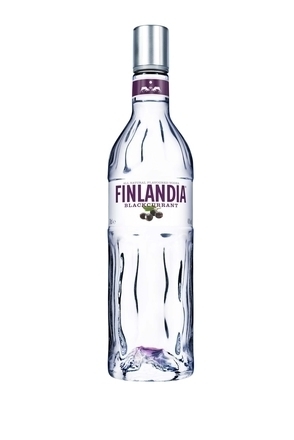 Alko, the state-owned monopoly company, established Finlandia in 1970 and a year later the brand became the first Scandinavian vodka to be sold in the US. It is now owned by the American Brown-Forman Corporation. 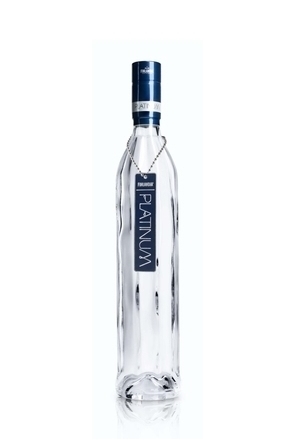 Finlandia is distilled from Finnish six-row barley, a variety of barley found in Nordic countries that gives a lower yield than two-row barley. This is fermented and distilled at the Koskenkorva distillery, located close to the village of the same name in Finland's breadbasket, the Ilmajoki municipality - about 400km north of Helsinki. The seven state-of-the-art, stainless steel distillation columns at Koskenkorva use a rectification process called ‘Continuous multi-pressure distillation’. The stills are operated continuously with three columns operated under a slight vacuum, while another three columns are atmospheric and one column is pressurized. These seven stills have an average height of 25 meters and are, in the order of process, a beer still, rectification column, extractive distillation column, rectification column, a fusel oil column, an aldehyde stripper and a methanol column. Koskenkorva was established in 1944 but the government funded so-called ‘New Distillery’ was built between 1971-73 and modernised in 1987. The sprit produced here is so pure that further development is unlikely. However, work here continues to increase efficiency and eliminate environmental impact. As they say at the distillery, “no waste is produced, everything is used”. * Barley husk is burned to help generate the pressurised steam used in distillation. * Fibres are separated and sold to food industry. * Carbon dioxide, from fermentation, is collected and sold to gas industry. * After distillation the spent mash is converted to animal feed. * Extra starch is separated and sold to paper and food industry. * The cooling and heating water used throughout the process is circulated many times in a closed system to efficiently control the temperature in each production step and keep water use to a minimum. * Finally, even the waste ash from the power plant is sold to farmers and builders for soil improvement. The distilled spirit produced at Koskenkorva is transported by rail to the historic distillery in Rajamäki. This was originally established in 1888 by Mr. Vilhelm Juslin as a yeast factory for bread manufacture. He introduced distillation here soon after. Perhaps due to the link to bread production, during Finnish Prohibition it was the only distillery that remained operational. In the middle of Prohibition, in 1920, the Finnish state bought the Rajamäki plant to secure alcohol supply for pharmacies and other non-drink purposes. At Rajamäki, the barley distillate from Koskenkorva is blended with water drawn from nearby glacial springs. This is so pure that the water requires no filtration or chemical purification. To protect this precious water source from contamination, the company owns twelve square kilometres of unspoilt forest in the vicinity of their wells. They don’t have to treat or tamper with the water at all - no deionization, nor osmosis treatment, nor removal of minerals. Only a mechanical filter is employed to remove visible particles. 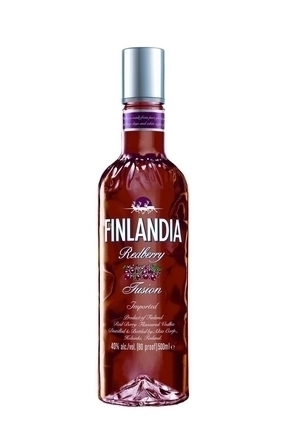 This citrus-flavoured line extension was introduced to the Finlandia range in 1999.